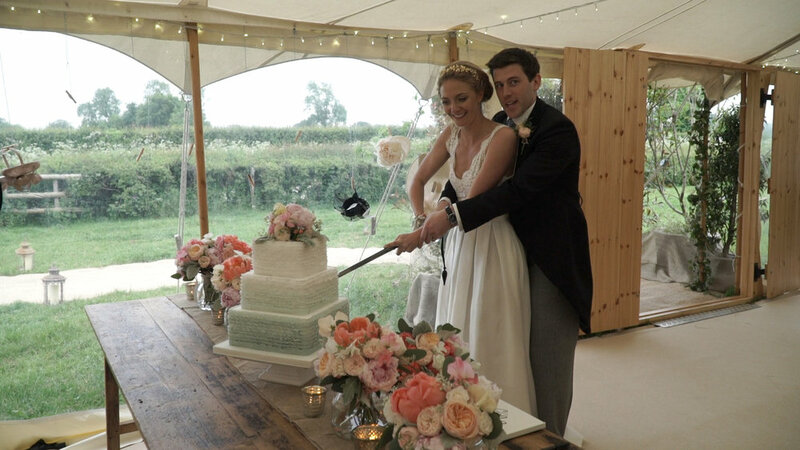 I am pleased to share with you a delightful wedding video from Ashbourne in Derbyshire. Although we are based in Leicestershire, we love to travel all over the U.K. and this was my first time working in this area, specifically at Sutton-on-the Hill Church. The church is in a spectacular location set on a hill and overlooking the entire landscape. From there you could see the reception, held in the family home in the valley below. I would like to thank Lydia and Fergus for the opportunity to produce their wedding video. It is always a privilege to be part of any wedding day, my congratulations to you both and I hope you enjoy the film.